We know what happened to the dinosaurs. We know about The Great Extinction Event: about the layer of volcanic ash which tells the story of the deaths of these great old dragons which once walked our earth, sometimes on two legs, sometimes on four, finally extinguished by a relentless layer of volcanic ash. The decline of an empire, even from the viewpoint of millions of years in the future, inspires awe: that such dynasties have come and gone, their fitness for purpose proved irrevocably wanting, is almost beyond comprehension. An old dinosaur sits on a roundabout in Birmingham, England, and the cars drive round it in a 21st century whirligig. The world hurries by its old carcass, monumental though it is, a stern old Ozymandias frowning at these scuttling creatures circling his great bulk. I call him a dinosaur, but he’s a dinosaur in another sense. For Ozymandias is a great steam engine, a beam engine, to be precise. He towers over the passing traffic as once he towered over the Netherton Ironworks of MW Grazebrook, puffing great iron lungs full of air into the furnaces. When his useful life was ended he was re-erected on the A38. Steampunk cannot match this monumental old legend. He has a great broad beam for his shoulders: in his heyday, one end was forced upwards by steam from a boiler, pushing the other end downwards. He could pump water out of a coal mine more efficiently than any water wheel. His forebears were the talk of the eighteenth century, created by Thomas Newcomen and James Watt. By the dawn of the 19th century engineers had perfected the power of these great stationary steam engines, and they were all over Britain, great mighty see-sawing iron giants moving and shifting insane loads. They were the kings of industry, the technology of choice. Just like the dinosaurs, this giant on a Birmingham roundabout had his heyday. For everything there is a season. And just like the dinosaurs, his kind had a beginning. But it is a great deal further back than you might imagine. For an impudent stationary steam engine, a cocky little time-waster, appears in sketches and descriptions thousands of years old. The ancient Greeks invented a rocket style jet engine, powered by steam. Ozymandias’s ancestor was called an aeolipile. And it was the cheekiest little ancestor you ever did see. Imagine, if you will, a large bird-bath like bowl-on-legs, heated from underneath by a fire. Out of the water come two pipes bearing steam, all the way up to a spherical cylinder which they fill with steam. Poking from the cylinder are two pipes through which the steam escapes. And as it cannons out, it pushes the cylinder around. One question: why? Steam engines are associated with well-hard, utilitarian industry. But this contraption seemed, like much of the Greek tradition, to revel in the theory of the physical world without – well- actually doing anything. For the seed that grew in Ancient Greece has grown into a great mighty tree, and the fruit of the tree sits on a roundabout somewhere on the Birmingham ring road. Steam power is still used to generate electricity; but the days of it dominating the skyline with its industrial might are in our past, a homage to a powerful, towering empire which changed civilisation forever. Posted in Quirks of HistoryTagged birmingham, dartmouth circus, history, stationary steam engines, steam powerBookmark the permalink. Wonderful piece of history. It’s like marvelling at the concepts in Da Vinci’s sketchbooks. I wonder if someone somewhere is doodling some brilliant medical breakthroughs – mankind certainly needs them. Wouldn’t that be fantastic, Roger…. 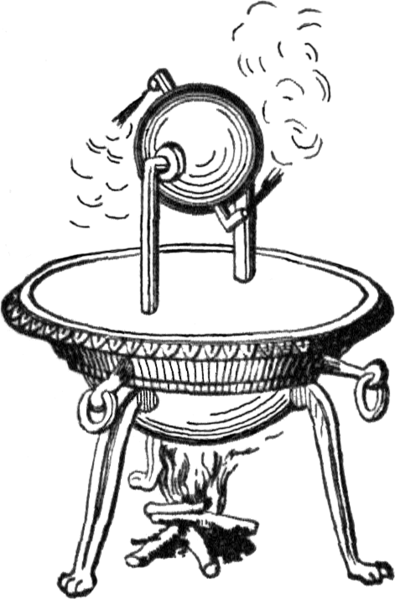 I imagine that the ancient Greeks found a way to utilize the bird bath steam wheel by inserting some hallucinogens and enjoying the fumes as they spewed forth in the room. 😀 I stumbled on this giant quite by accident, Hope: it’s a haphazard business really. I really like history of technology, so this was a great post for me. You’ve gotten my curiosity up into a steam now, Kate. What a fabulous posting. Thank you and thank you again. You’re twice welcome, Penny. I imagine your part of the world must have a rich legacy in stationery steam engines. But this contraption seemed, like much of the Greek tradition, to revel in the theory of the physical world without – well- actually doing anything. Jut when I am feeling like a ginormous fossilized dinorsaur, along comes your post that confirms it! And I am all out of steam too. Still and all I love your informative post as always. I have missed you. Paula! Hello! Lovely to see you and hope you are well. Alas, for many of us steam is a thing of the past 😀 Missed you too. I love the reminder, sitting along a roadside, of where we’ve come. It’s a very ‘Birmingham’ thing to do. 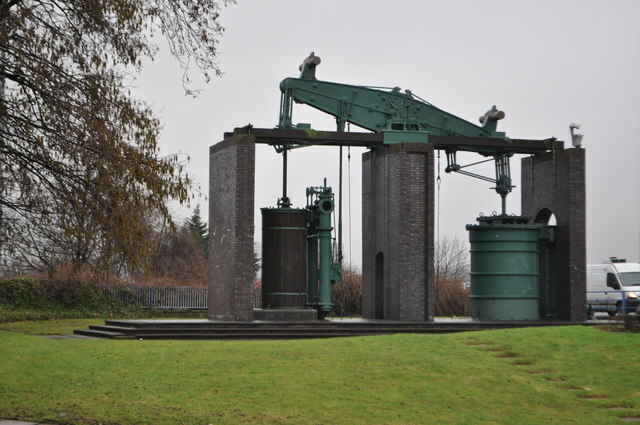 Proud industrial heritage, and all that hoopla. I’ve seen your drills on films, Debra, and they have always struck me as imposing. An animal drink. That’s exactly it. What a lovely post indeed. The only permanence in anything is its transience. So it is with species, civilisations, technologies and individuals. As we hold this perspective, we learn to appreciate ouselves and all that is around us. Maybe it would resonate with you. Thanks Shakti 🙂 Lovely post: reminds me all over again of poor Ozymandias. I thought your dinosaur quite a beast, and then! To see the cheeky wee ancestor! Such a cute litte steam dragon.